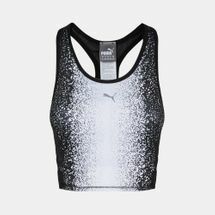 Fire up your cardio session in the PUMA All Eyes On Me Tank Top for women. Designed for greater ease and freer motion, it features a dryCELL fabric that draws sweat away from the skin, leaving you dry and comfortable. 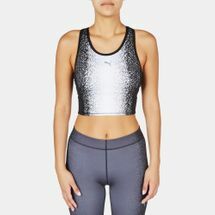 An engineered jacquard mesh provides breathability and style, while a loose fit allows for natural movement and layering.